Should guests be allowed to take pictures at weddings? 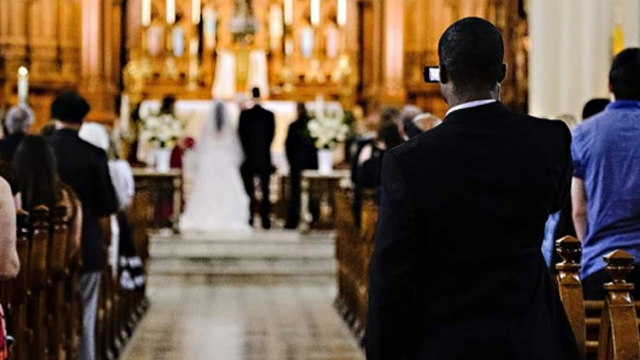 There's a current debate among photographers on whether guests should be allowed to bring their phones and cameras to weddings. Should friends and family turn off their phones or even put their devices in an "iPhone basket" outside the ceremony? The wedding photo above is by Corey Ann Photography, and in a recent post she shares her experience of how guest photographers can ruin wedding photos. And after looking at some of these interupted momments, she has a good point! It must be challeging to shoot a wedding these days when everyone wants to be the photographer. On the filp side, there are companies that not only encourage guest photography, but use it to their advantage. 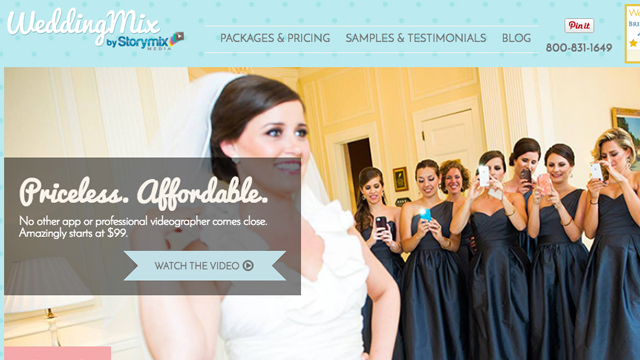 For example, Storymix Media is a service that creates custom videos from your guest's photos and video clips. I'm sure traditional photographers cringe at this D.I.Y. business model, but it's actually a pretty cool idea. This concept enbraces the mobile world, rather than trying to fight it.